We are hoping that the beginning of this new year has been a happy and healthy one for you and your family. As we all eagerly await our mornings growing warmer and to see flowers popping, the Greater Barryville Chamber of Commerce (GBCC) has been planning our annual Winter Warm-Up dinner. For the past ten years, we have invited the community to gather for an evening in celebration of our neighborhood and to recognize thoughtful, service-minded students by awarding our Community Volunteer Scholarship. To date we have awarded $25,000. The GBCC offers this annual scholarship totaling $2,500 to graduating high-school students seeking college or trade-school funds. The scholarship is based on the student’s volunteer service in our community while keeping up their grades. The GOAL is to embody the importance of being involved and supporting our community. If you know of a qualifying student, please visit Community Volunteer Scholarship for more details. The application deadline is February 15th. We would like to invite you, along with your friends and family to our Winter Warm-Up. 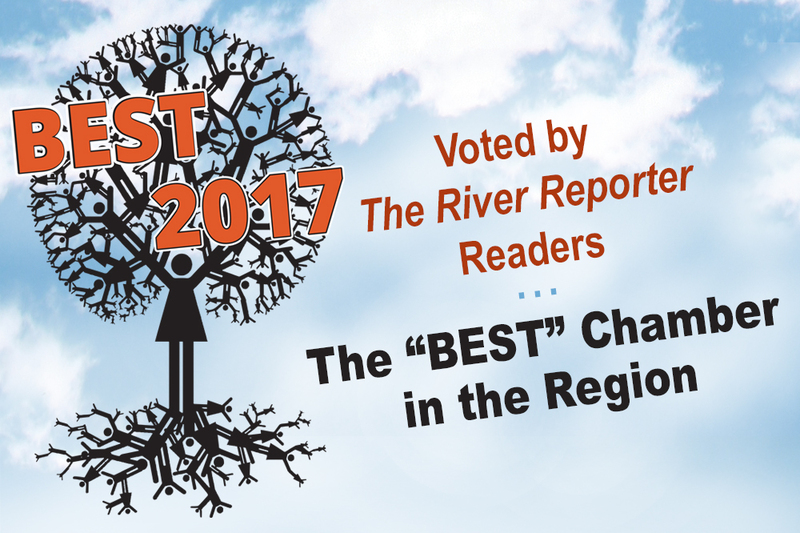 During which The River Reporter will award us with the “BEST” Chamber of the region, voted by their readership. The evening will be full of delights. Beginning with serenades by the Robert Kopek Quartet with jazz fusion, blues classics and originals. We will be honoring a long-standing GBCC member, New Hope Manor for its commitment to helping women overcome substance addiction by arming them with the tools to change their lives: support, treatment, and education. Learn more by visiting NewHopeManor.org. Additional evening highlights will be honoring our Community Volunteer Scholarship applicants and bidding on fantastic silent auction items to help raise Scholarship funds. Tickets to the Winter Warm-Up evening are $40. We are also hoping to receive donations in the form of dollars or items for our Silent Auction to help raise Scholarship funds. Past items range from artwork, gifts certificates of services, goods, Broadway tickets, and baskets of cheer. All donations are welcomed and appreciated. Email gbcc@barryvilleny.com, if you would like to discuss donations and drop-off or pick-up locations. We are excited to see you on March 3!